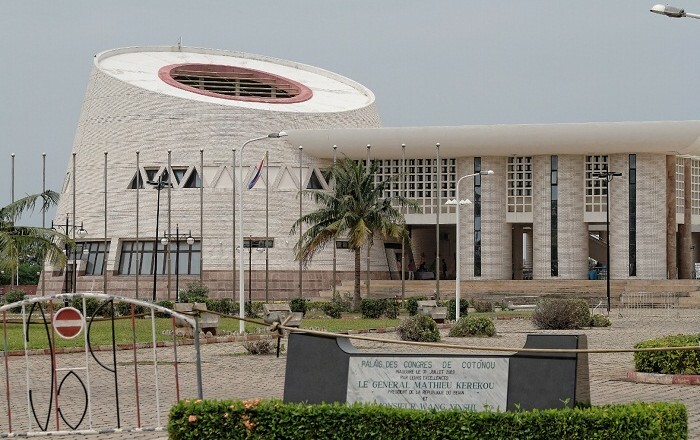 The Congress Center of Cotonou is a 2-story complex built for meetings, conferences, offices etc in the city of Cotonou, the largest city and economic center of the West-African Republic of Benin. This futuristic looking Center is located on the Marina Boulevard, not so far from the Gulf of Guinea, within the proximity of the Cotonou Cadjehoun Airport. 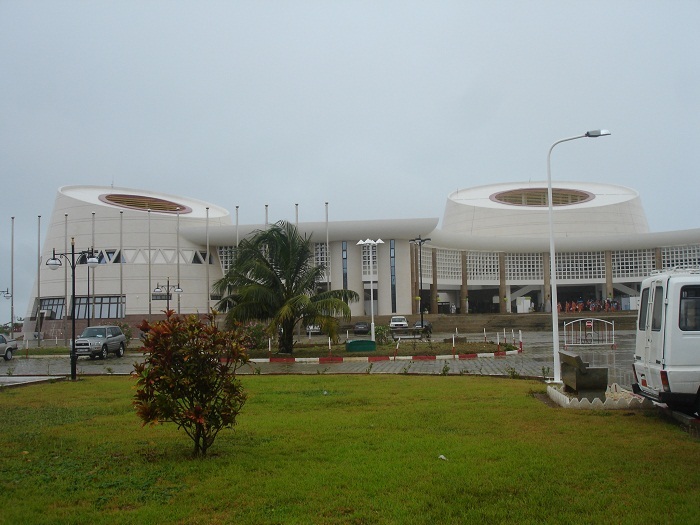 The complex has an area of 10,053 square meters (108,210 square feet), and includes a large hall with 1,200 seats spread over the two floors, 800 on the ground and 400 on the other floor. There are as well a conference room with 300 seats and a multi purpose hall which also has 300 seats. The purpose for the construction of this complex was to organize large national and also international conferences and symposia. When seen from the top, instantly one can see the triangular shape the complex has, with the circular buildings at every corner plus one at the middle of the hypotenuse (the longer side of triangle). 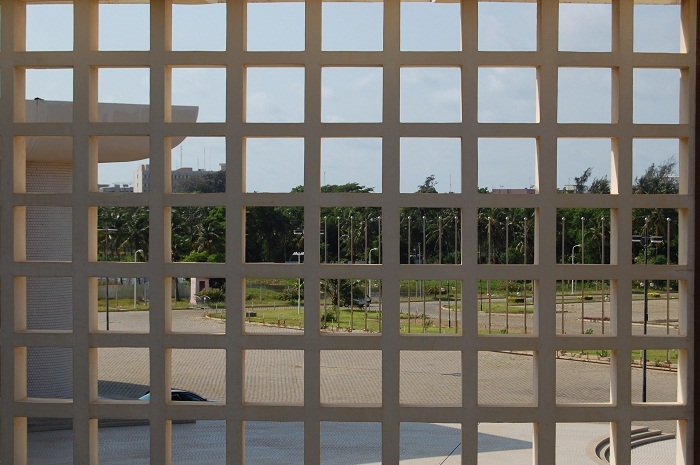 The entrance of the building is as large as possible, with small square in front of it together with a parking place. 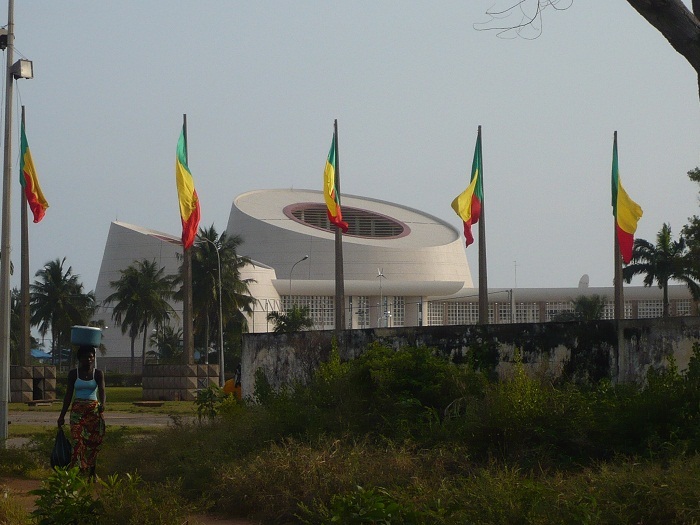 Nonetheless, this complex was built with the help of China and the Government of Benin, completing the whole project in 2003. 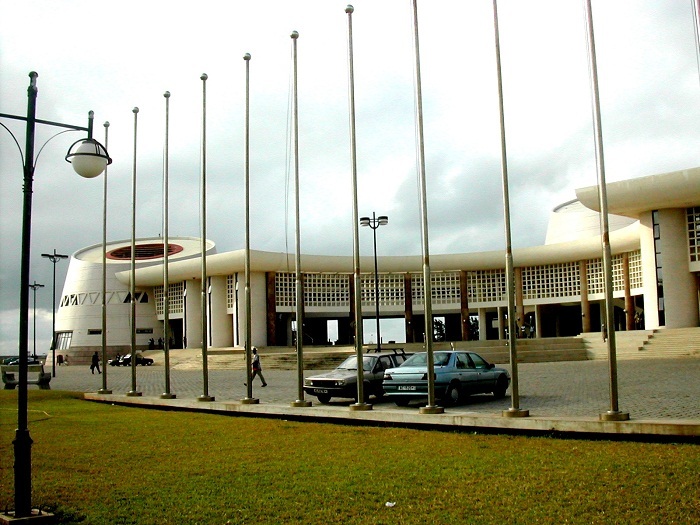 This alluring complex building is definitely one of the most beautiful buildings, not just in Benin, but also in Africa.